Change of Plan for November Walk | Crowlas & Ludgvan W.I. In case you were undecided about joining Shirley on her November walk, you might like to know that there’s been a change of plans and the walk will now be conveniently close to home! 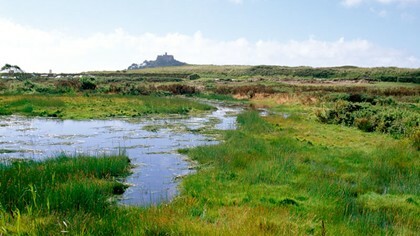 This will be a circular walk starting from Ludgvan Community Centre through the Marazion Marshes to Marazion and Long Rock, returning inland to Ludgvan Church and village. The date hasn’t changed and is still Wednesday 19 November.